This item has become our work-horse Lead Stand. Quick and easy to assemble, it comes standard with wheels for easy mobility on stage. The stand can be adjusted to accommodate players of almost any height. 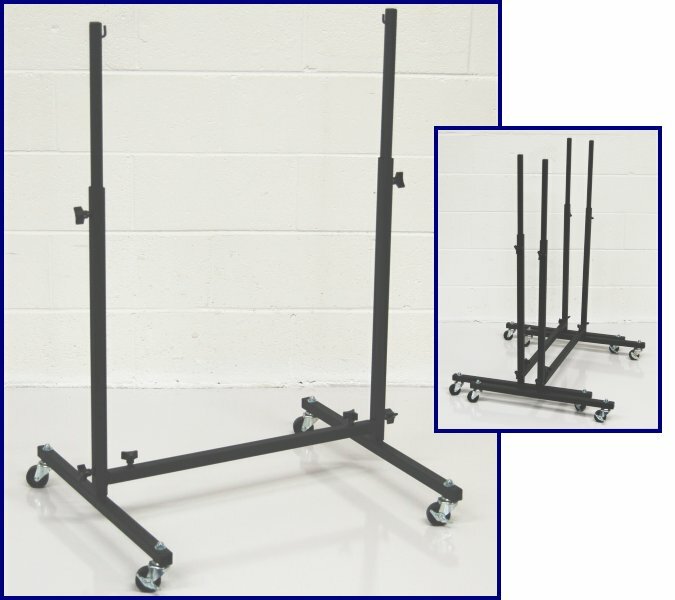 When not in use, these stands will nest together to save valuable space when storing or moving your band from venue to venue. *Also available with a chrome finish.